These are some of the emotions an Ethiopian girl experiences when she gets her first period. You see, in Ethiopia, menstruation is a taboo subject. As a result, girls’ first periods usually take them by surprise. They don’t know what to do, or who they can turn to for help. A girl in Australia might feel a little embarrassed and awkward when she gets her first period, but usually she will understand that it's a natural transition into womanhood which will soon become a manageable part of her life. Most girls in Ethiopia don’t have this understanding. And even for girls like 16-year-old Harifeya, who learnt about menstruation at a young age, getting your period can still be a terrifying and shameful experience. She knew from her school what a period was, but these classes did nothing to change the social perceptions about menstruation — that it is shameful, unclean, and a result of sexual activity. They also didn’t help her with the practical knowledge she needed to manage her menstrual hygiene effectively. And even if they did, she would never have asked her parents to purchase menstrual pads for her, because they don’t have enough money, and she was just too embarrassed to ask. I’m sure you agree that no girl should be too afraid to ask for guidance and support when she gets her first period. That’s why I’m asking you to please give $50 today and help us to not only normalise this very natural experience for girls in Ethiopia, but also provide them with the items they need to feel comfortable. Harifeya was forced to use strips of old cloth and was constantly worried about leakage or accidents, as she had seen other girls be relentlessly teased by boys and younger girls who hadn’t yet got their periods. It’s a sad fact that menstruating girls often stay home from school three to five days per month, fall behind in their studies, and end up dropping out, due to the “shame” of having their period. This could have been Harifeya’s story too. But then one day, our partner, Dignity Period, came to Harifeya’s school to hold education sessions on menstruation, and give the girls an environmentally-friendly, reusable Mariam Seba pad and hygiene kit. The pads are comfortable, and Harifeya can wear them all day without having to worry about an accident. Washing is easy, and she feels confident drying them with other laundry because, with the waterproof side up, they look like any ordinary piece of cloth. Harifeya is able to attend school with a renewed sense of pride and without the fear of menstrual accidents. 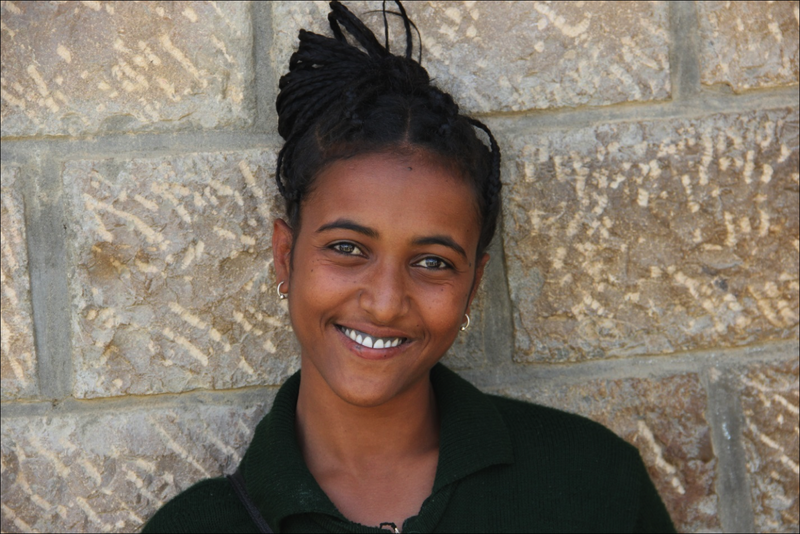 And without the threat of absenteeism due to her period, Herifeya does not have to worry about falling behind in her studies. I sure you understand what a tragic loss of human potential it is when girls are forced to drop out of school due to getting their period. Our work with Dignity Period is such a simple, effective way to solve this problem — but without you, we can’t continue this life-changing program. Just $50 will help us to provide 10 girls with menstrual hygiene packs and a reusable Mariam Seba pad, which can be used for up to 18 months. As always, thank you for supporting Ethiopiaid in our mission of bringing health and hope to people in Ethiopia.